One recycling organization reported that they collected more than 1,700 kilograms of beach trash on a beach in Puntarenas during a clean up in late February. 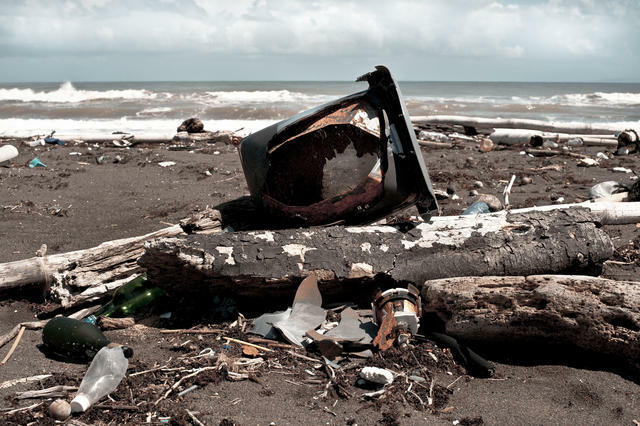 The beaches of San Juan de Nicaragua are one example of the world’s ever-increasing trash problem. Discarded non-biodegradable items are pooled together in ocean currents and regurgitated back on shore. On Costa Rica’s Pacific coast, an annual arts festival known as “Chunches del mar,” or “Things of the sea,” held near Playa Grande in the Nicoya Peninsula, turns beach trash into art. The festival, which has been held 10 times outside of the beach town of Montezuma, brings artists together to pluck trash from a polluted beach with similar conditions to San Juan de Nicaragua, although significantly smaller in size. For a photo report on beach trash, see The Tico Times online at www.ticotimes.net.